Leading organisations from across the Welsh food industry have made public pledges to radically change the way that they produce, manufacture, supply and serve their meals to include more vegetables, with the aim to make it quicker and easier for hundreds of thousands of adults and children to consume a healthier diet. Research shows that eating too little veg contributes to 20,000 premature deaths in the UK every year and that we should all be eating at least an extra portion every day. Data released by think tank The Food Foundation this summer showed that UK consumers are buying two-thirds less veg than the amount recommended by health experts. Led in Wales by Food Cardiff, the Peas Please initiative is urging all organisations involved in the production, supply and consumption of meals to back the campaign to put more vegetables on our plates and improve the health and wellbeing of the nation. Companies that made Veg Pledges at the Summit in Cardiff Bay, who are leading the way to dramatically improve and increase our vegetable consumption included: Castell Howell, S.A.Brains and Co, Puffin Produce, Lantra, Riverside Real Food, the Federation of City Farms and Community Gardens and Penylan Pantry, the Soil Association, WRAP Cymru and Charlton House, caterers to the National Assembly for Wales. Made by organisations who produce, supply and serve meals to hundreds of thousands of adults and children across Wales, the Veg Pledges will make a direct impact to increase our vegetable consumption on a scale never seen before. Influential pledges were also made by Cardiff City Council, Cardiff and Vale University Health Board, Cardiff University and Cardiff Metropolitan University. During Plenary that day, the First Minister Carwyn Jones AM welcomed the Veg Summit and what Peas Please is aiming to achieve to improve the health of the nation. The Summit was sponsored by Jenny Rathbone AM, who leads the Cross Party Group on Food. The event was attended over 80 multi-disciplinary representatives from the private, public and third sector, including the Cabinet Secretary for Health, Wellbeing and Sport, Vaughan Gething AM, the Minister for Social Services and Public Health, Rebecca Evans AM, Cllr Huw Thomas, Leader of Cardiff Council and Dr Sharon Hopkins, Director of Public Health with Cardiff and Vale University Health Board. Katie Palmer, who leads Food Cardiff, said, “We are delighted that a number of Wales’ leading foodservice companies, universities, growers, food manufacturers and local food retailers have embraced the Peas Please initiative and we hope in doing so they will inspire others to make their own pledges. This is just the start of the journey to increase the production and consumption of Veg in Wales and we urge any organisation wanting to get involved to get in touch”. This week, a simultaneous event organised by The Food Foundation in London saw pledges from Lidl, Co-op, Sainsbury’s, Tesco, Greggs, Mars Food, Nestle, Sodexo, Baxter Storey Interserve and Simply Fresh. 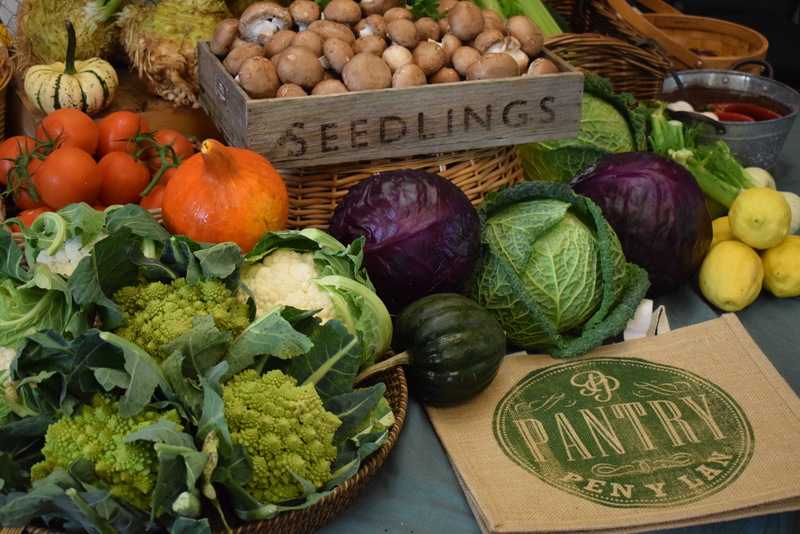 These pledges will amount to millions more portions of vegetables being added to meals in the UK with potential to give a welcome spur to British horticulture at a time when the sector faces considerable uncertainty. Meanwhile, in Scotland, the Scottish Government have pledged a new Fruit, Veg & Potato Industry Leadership Group which will develop an action plan for Scottish horticulture.